Carter, who is the leading points scorer in the history of Test rugby with a tally of 1598 points previously played for Racing 92 between 2015 and 2018 making over 50 appearances following which he moved to Japan to play for Kobelco Steelers. 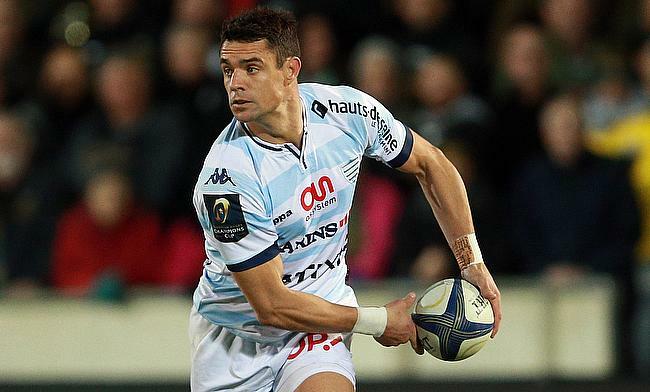 However, the 36-year-old has now been re-signed by the Top 14 club as a replacement for Pat Lambie, who retired from the game due to concussion after he managed to get a release from the Steelers. The news was confirmed by the official Twitter handle of Racing 92. Carter, who spent most of his domestic rugby career with Canterbury and Crusaders between 2003 and 2015 also had a brief stint with Perpignan in 2008. He also enjoyed three Super Rugby titles with the Crusaders. The 5ft 10in fly-half represented New Zealand 112 times between 2003 and 2015 before announcing retirement and is among 20 players in the history of the game to have enjoyed two World Cup titles when the All Blacks clinched the titles in 2011 and 2015 editions. He was also named the IRB Player of the Year in 2005, 2012 and 2015. Racing 92 are currently positioned seventh in the Top 14 league with nine wins from 16 games and will take on Toulouse in the quarter-final of the Heineken Champions Cup in Paris on 31st March.